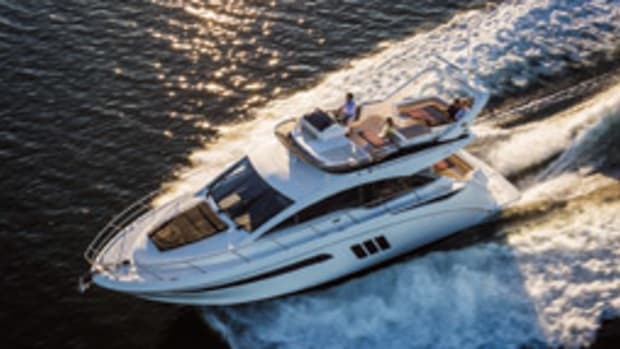 Sea Ray’s new 310 Sundancer features a raised-helm design to enhance visibility from the cockpit and a cabin that can sleep up to six adults. 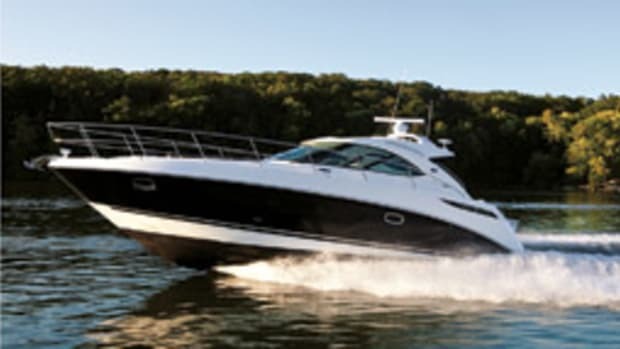 With a beam of 10 feet, the 31-foot cruiser is powered by twin MerCruiser 3.4L MPI Bravo III engines and offers an optional Axium drive system with helm joystick control. The cockpit lounger includes a backrest that converts to a sunpad. The pivoting helm bench maximizes space for guests when the cruiser is at rest. 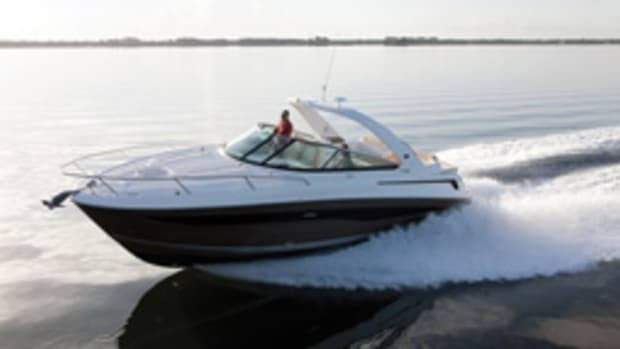 An adjacent swim platform features a concealed four-step ladder to get in and out of the water easily, according to Sea Ray. 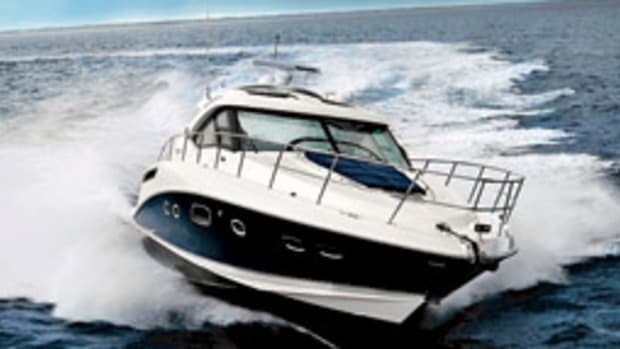 A solid-surface wet bar abaft the helm has a sink, drink holders, handrail, storage and can be equipped with an optional refrigerator and built-in barbecue grill. The head comes with a VacuFlush unit, full-length mirror, sink with pullout faucet sprayer, countertop, vanity, shower curtain and storage. 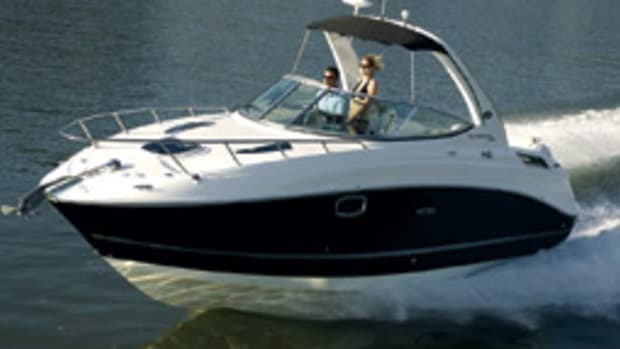 A 10,000 BTU air conditioning/heating system helps extend the boating season. 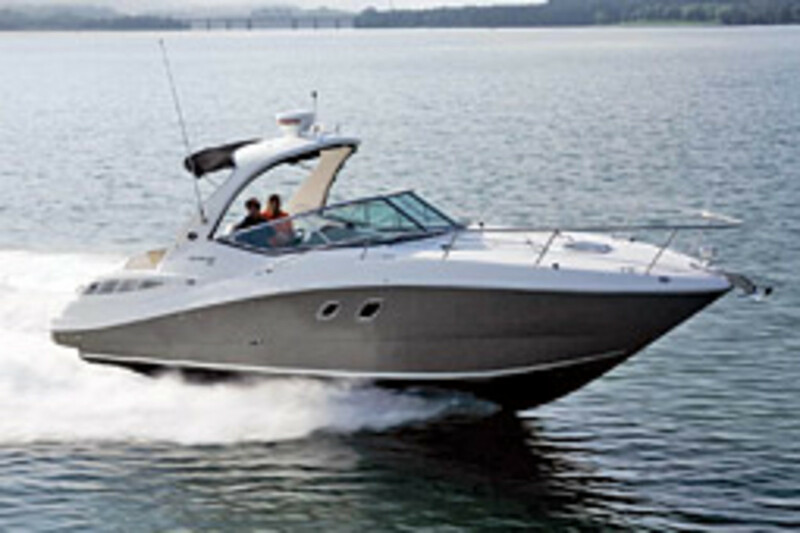 Other options include multiple gas and diesel sterndrives, advanced electronics, a remote-control spotlight and more. 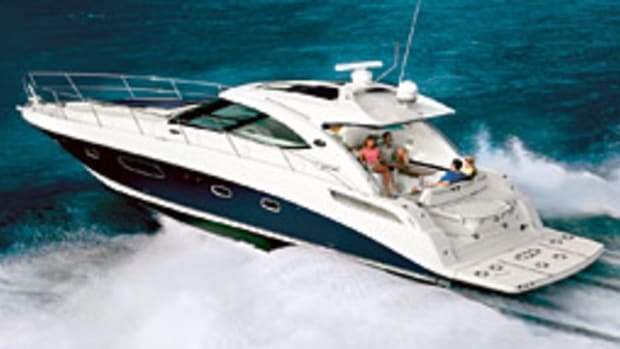 All owners receive a full membership in the Sea Ray owners club. 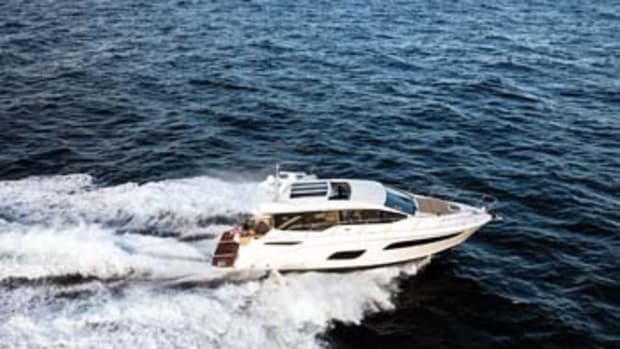 The MSRP of a 310 Sundancer is $223,555. 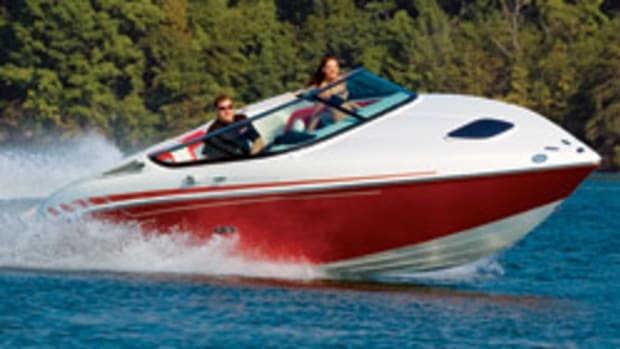 Click here to find more Sea Ray boats.